Looking for Nashville Ice Cream truck rentals? Why not consider the best truck available in the area - a real Good Humor ice cream truck (not a van!). Family owned and operated from the Nashville, Tennessee area, the 'Machine' has been exciting crowds, entertaining guests and serving Nashville for some time. Check out our ice cream truck videos and gallery for some of the more unique events we have been asked to attend. To learn more about renting the Mean Green Ice Cream Machine, just call or email us today. We make the process simple and will custom design a package that fits your budget as well as expectations. 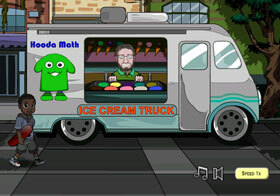 The MGICM has revolutionized the way the renting of an ice cream truck is done. Do not settle for an old van or beat up white truck. More than just ice cream, the 'Machine' will entertain the crowd and make the day memorable. Not many people have seen such a truck and once the hydraulics make the truck bounce up and down, the crowd will go wild! 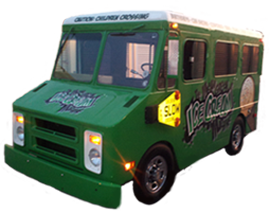 The Mean Green Ice Cream Machine is available to rent for your event with each package customized for the client. We handle all types of events including corporate events, customer appreciation, birthdays, block parties, street fairs, picnics, school events, summer camps, grand openings, car shows, and corporate events. 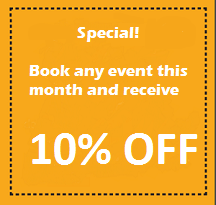 Contact us at (615) 212-5151 for 2018 dates as the schedule does fill up quickly. Make your day special and easy to remember. 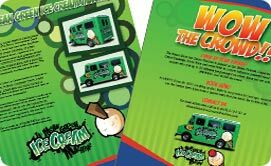 From grand openings, school events, employee appreciations, car shows and charity benefits, the Mean Green Ice Cream Machine is your #1 choice for hire.